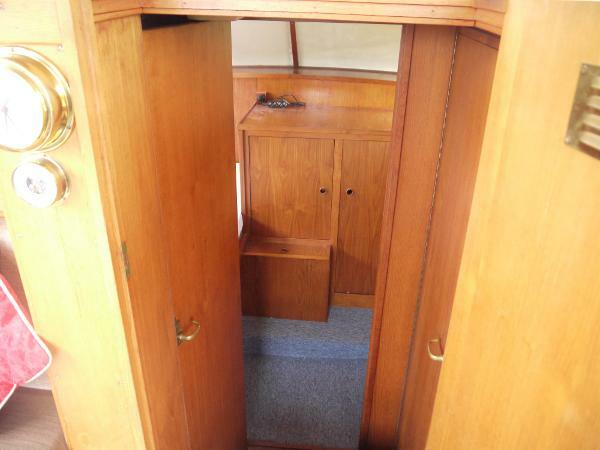 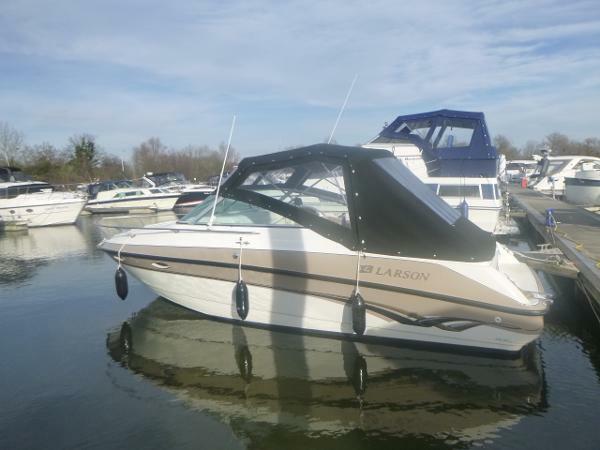 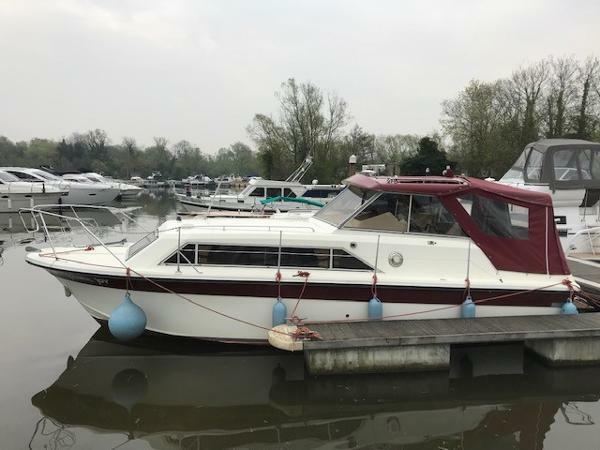 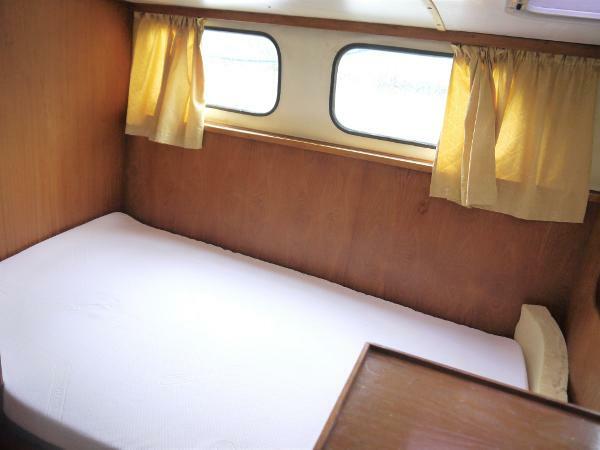 FORWARD is the fore cabin with two single berths & storage underneath. 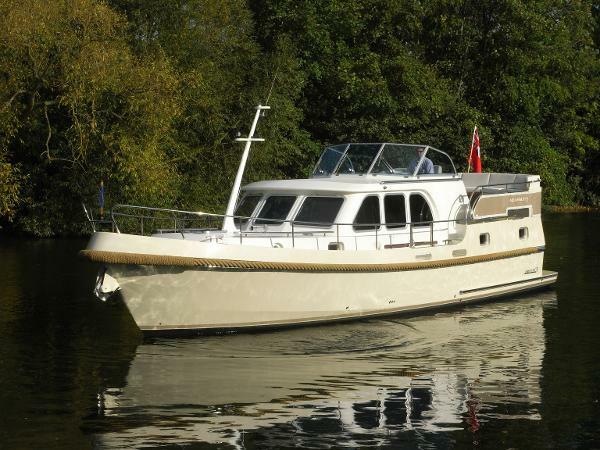 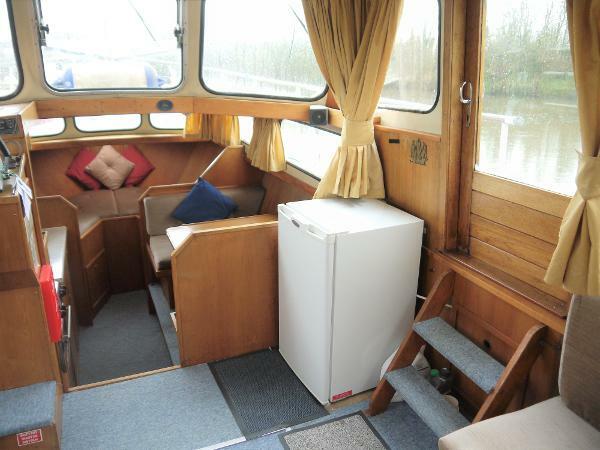 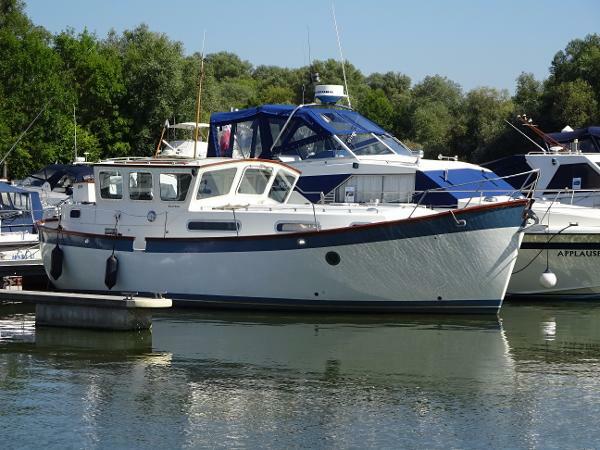 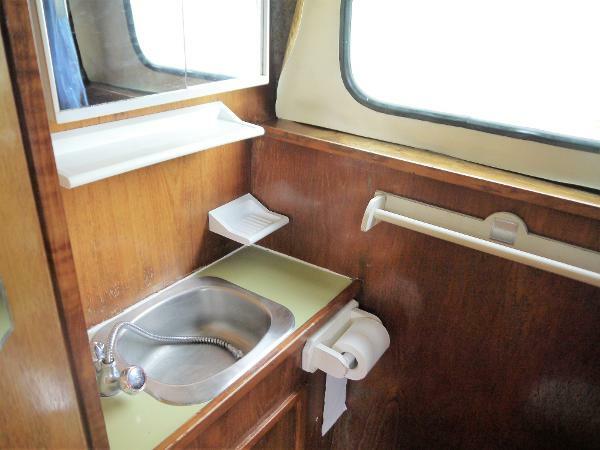 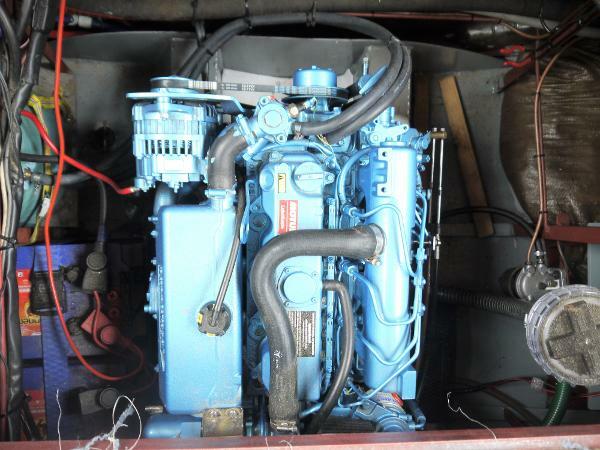 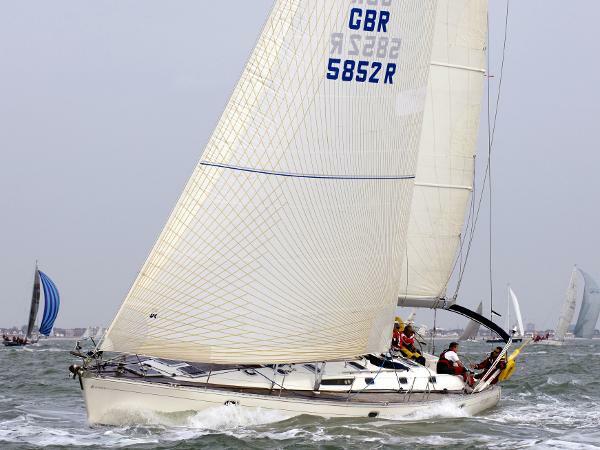 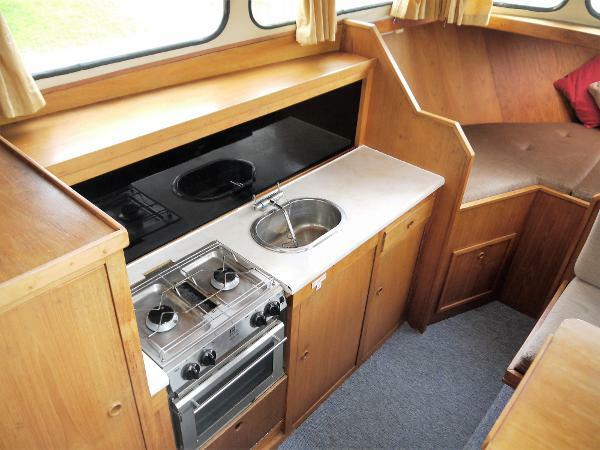 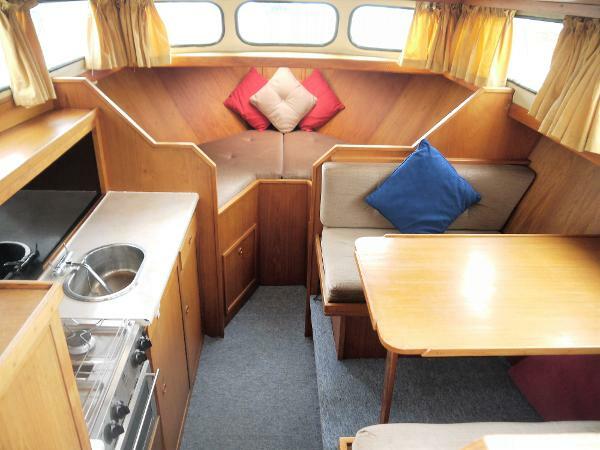 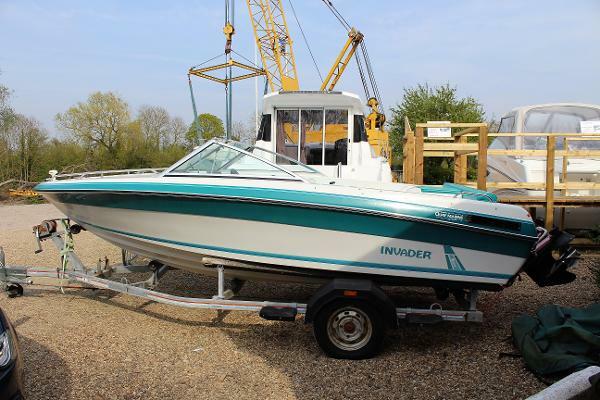 To port is GALLEY with a 2 burner gas hob, oven and grill, sink, mixer tap, storage lockers and shelving. 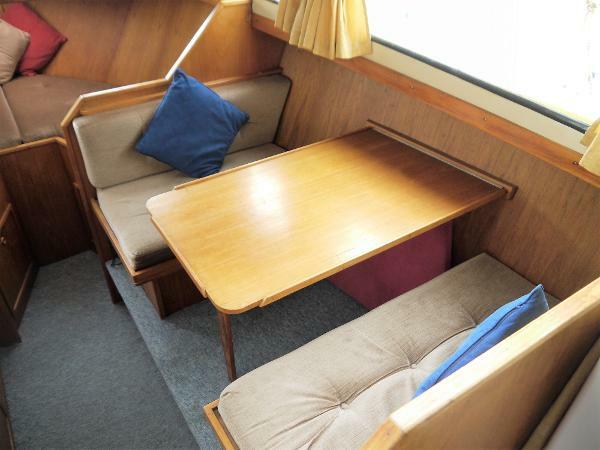 Opposite is DINETTE featuring 2 opposite facing bench seats over table, storage below. 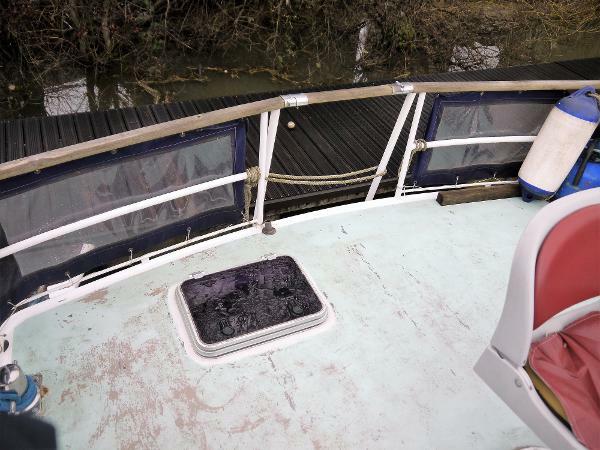 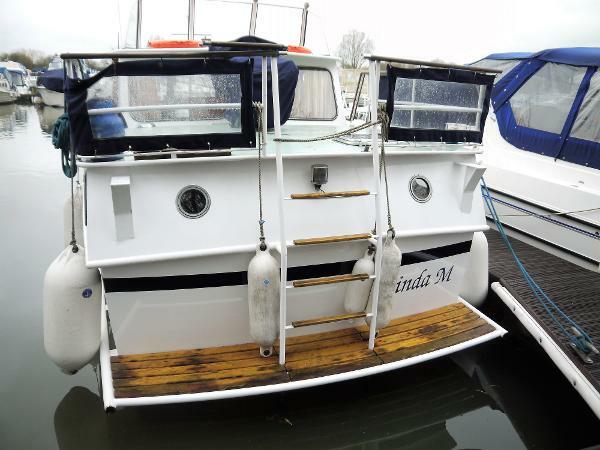 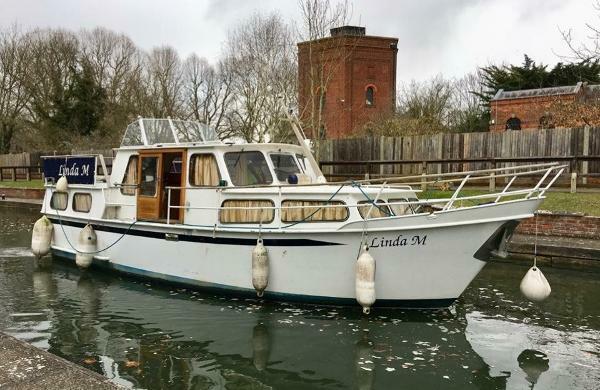 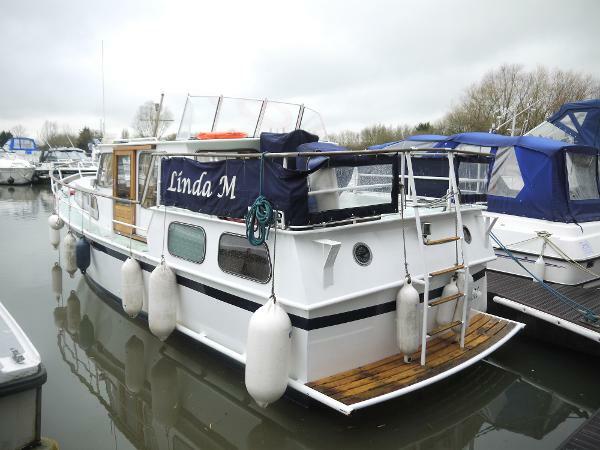 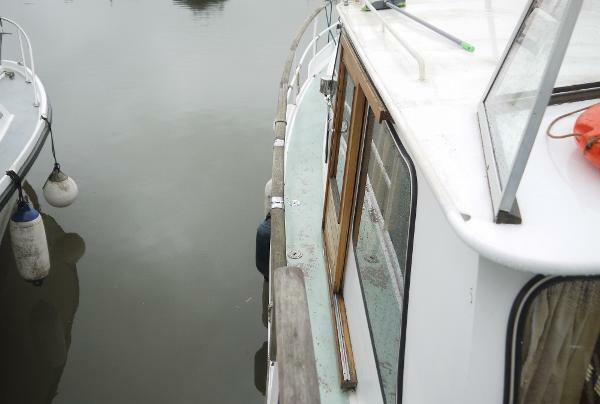 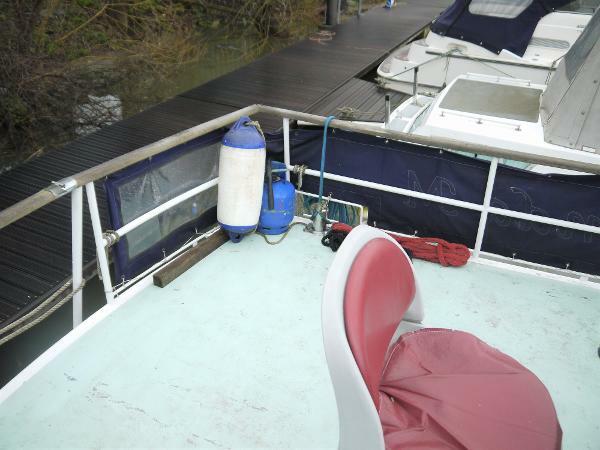 Steps lead up to SALOON, to starboard is L-shaped seating area, to port is a bench seat. 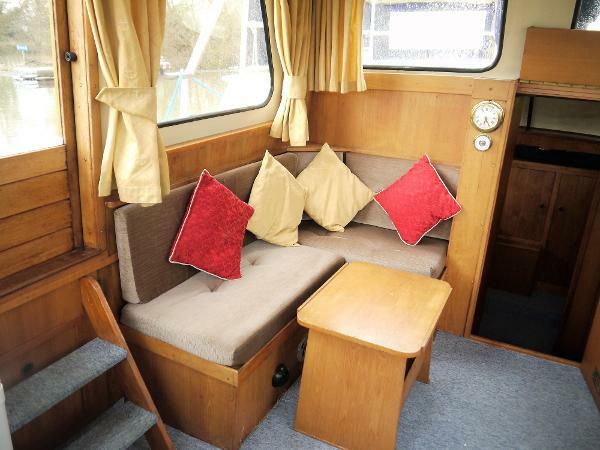 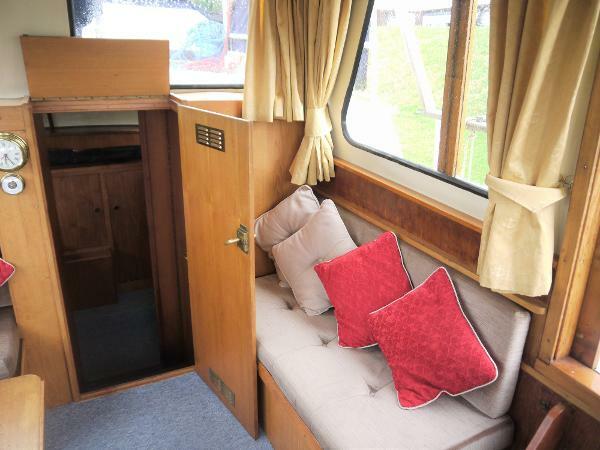 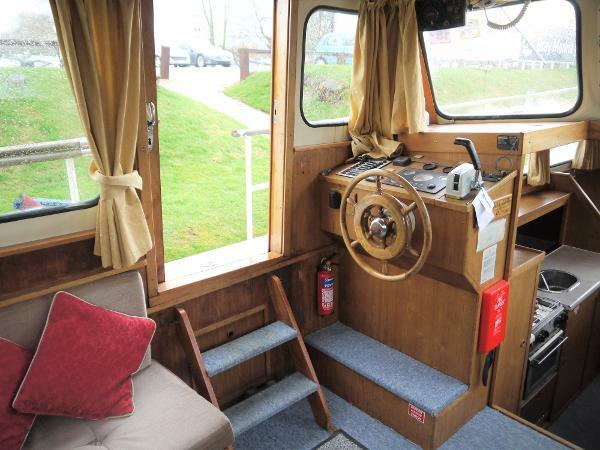 Large windows are situated around the saloon, you also have steps either side leading to the side decks. 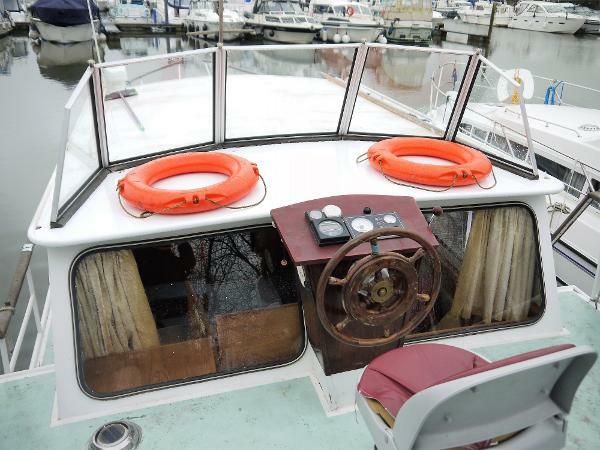 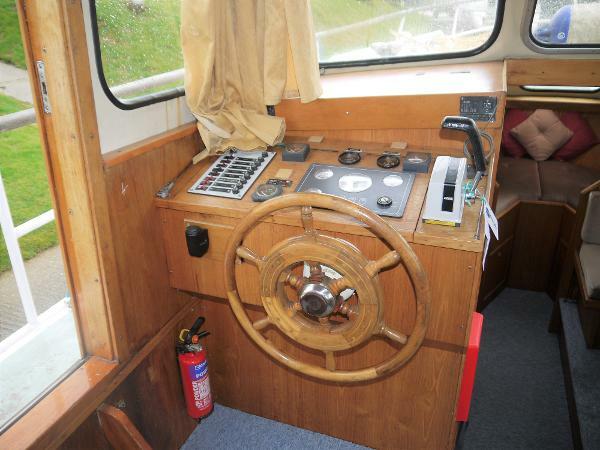 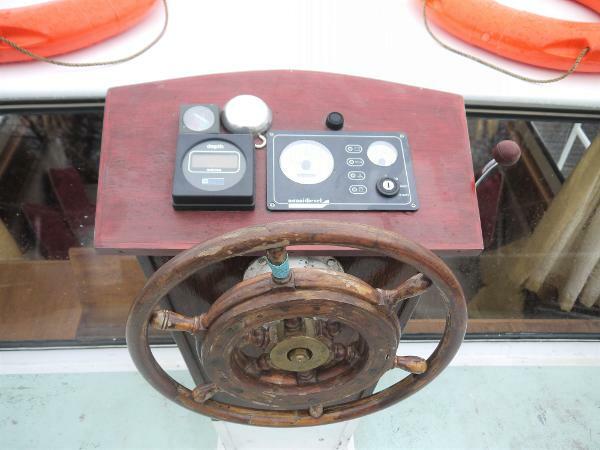 Inner helm to port with single lever controls, engine instrumentation etc, large windows, engine access below. 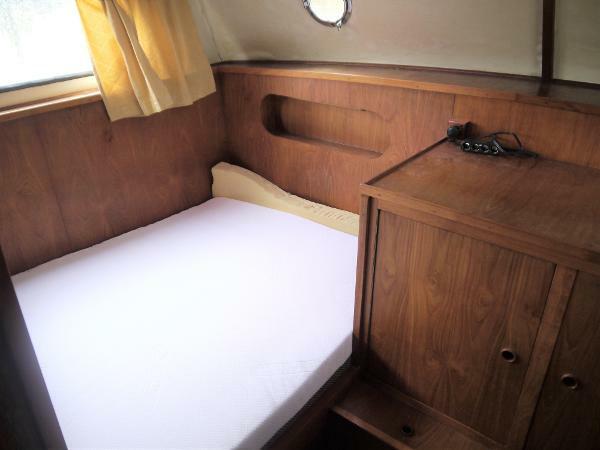 AFT CABIN accessed via companionway, offers a double berth offset to starboard, 12v lighting, wardrobe & plenty of storage space. 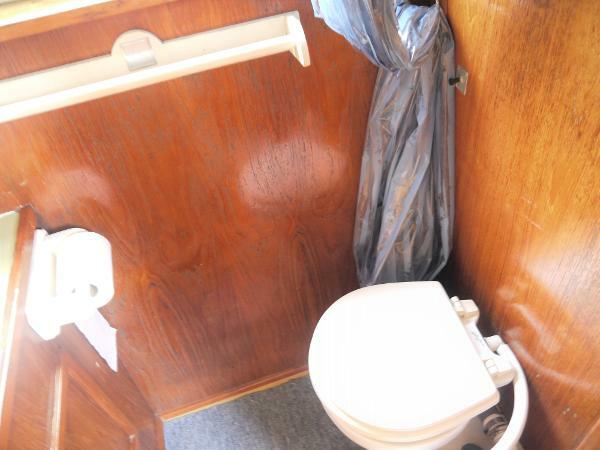 AFT HEADS manual flush sea toilet to holding tank with sink and mirror, shower head with shower curtain. 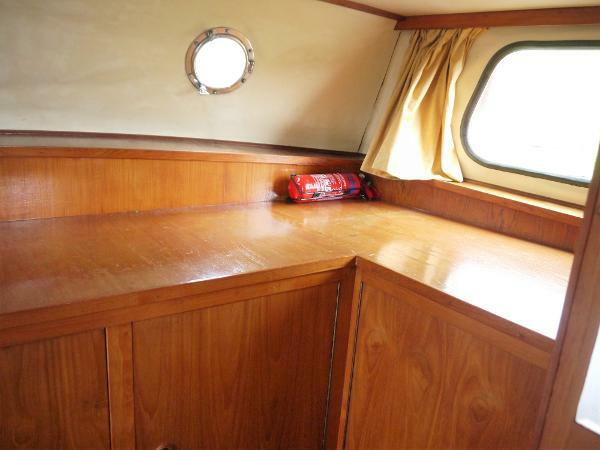 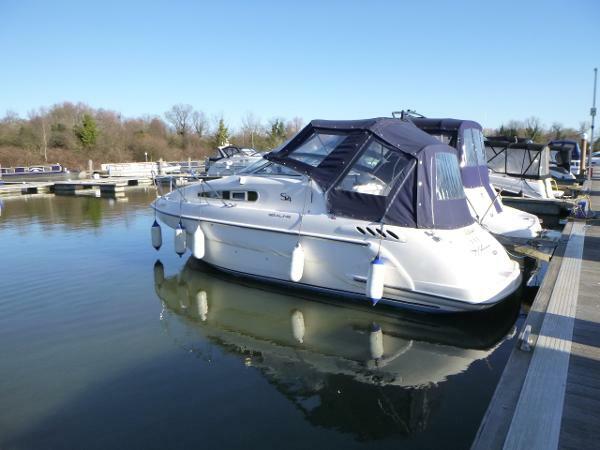 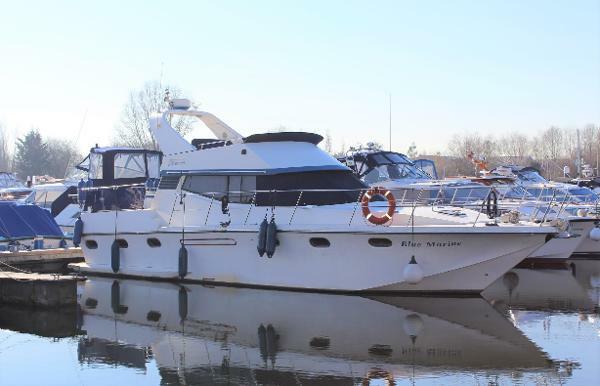 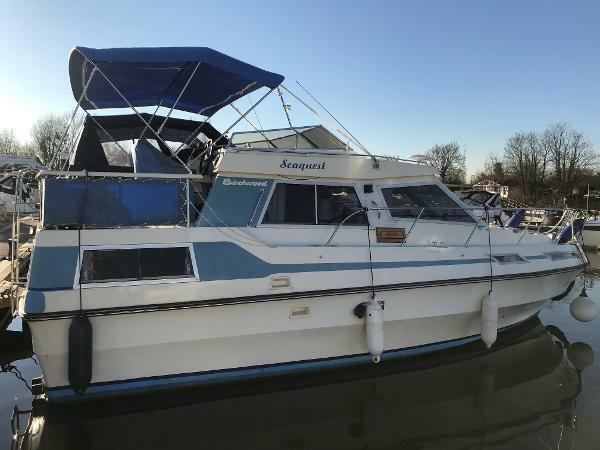 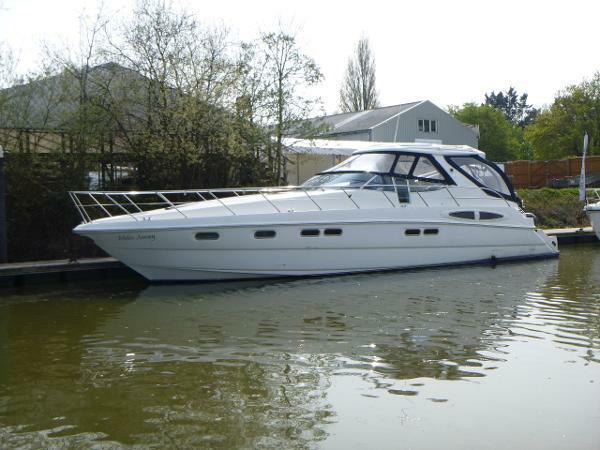 AFT DECK with helm position and plenty of space for entertaining family and friends.